Franklin Elementary Bricks Still for Sale. The Franklin Committee for Preserving History has spent the last three years selling engraved bricks to raise money for the sign. It is not too late to order a brick. The cost is $35 for Franklin families and staff, $50 for alumni and $100 for businesses. If you would like to order a brick, you can visit http://www.bezierboy.com/franklin to download a form, or contact the Franklin Committee for Preserving History <mailto:franklin@bezierboy..com> . The class of 1965 will be having their reunion in June, 2005. Still no word on the class of 1960. Rumors of a class reunion are around. No offical word from anyone yet as to where or when. Mrs LaFrenz is in failing health and confined to bed these days. She still loves to hear our news. 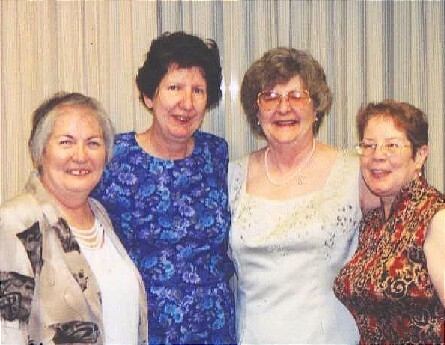 Dorothy Henderson, mother of Lois (60), Ruth (62) and Richard (65) died as a result of a car accident. She may be remembered as our Girl Scout Leader, Day Camp Director, and Jane may remember her as the person who told her where to put her gum at choir. Mom Henderson was a member of Liberty Christian Church, Order of the Eastern Star, Jewell Chapter, and also Mother Advisor for Liberty Assembly 31, Order of the Rainbow for Girls, Grand Cross of Color and a member of the board for many years. The class plans to celebrate its 15th the weekend of 0ctober 15th and 16th, 2004. The Friday night activities will be the football game, followed by drinks at The Pub House. On Saturday, the 16th, we are planning a picnic at City Park with a tour of the high school. The reunion party will be at Clayview Country Club on Saturday night beginning at 7:30 PM. The next planning meeting is Sunday, June 6th, at 5 PM at the Pub House. Any questions, please call Kara (Tuck)Geisert or Ann (Kretchmar) Dugdale at 816-781-9925. Please send updated addresses to Ali Todd at ATodd22@earthlink.net. See you there! 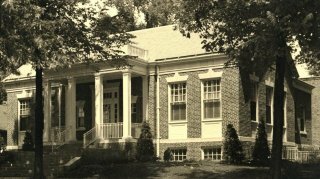 The 1964 graduating class of LHS will hold their 40th reunion at the home of Susan Skillman, 1147 Guinevere Dr., Liberty, at 7 PM on July 30, 2004. They will also have a celebration on Saturday, July 31, 2004, at Clayview Country Club at 6:30 PM. Tickets for the Saturday night event are $40 and include a catered buffet. For more information, contact Pam Strang at 781-5095.